Sports Insights, part of The Action Network, is a leading provider of sports information and betting services. Our services include sports betting software, public betting trends, live odds, and our Best Bet picks. Sports Insights is credited with pioneering the use of public betting trends data at actual sportsbooks to unlock value in the sports betting marketplace. Our proprietary betting trends data serves as the foundation for our unique approach to sports betting. 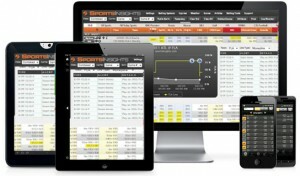 Our products are designed to help any level of sports bettors achieve consistent winning results. Sports Insights was founded in 1999 by a diverse team of economists, financial experts, and sports betting professors. Our goal is simple – help sports bettors make smarter bets.